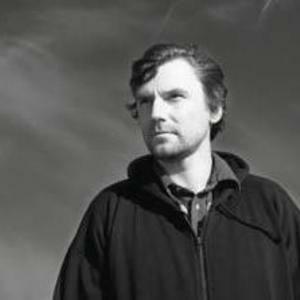 Loscil is the electronic/ambient music project of Scott Morgan, from Vancouver, British Columbia, Canada. The name Loscil is taken from the "looping oscillator" function (loscil) in Csound. Scott Morgan is also the drummer for the Vancouver indie band Destroyer. A self-released album titled A New Demonstration of Thermodynamic Tendencies caught the attention of experimental music label Kranky who signed Morgan on to release his first album Triple Point in 2001. Triple Point features six tracks off his first independent release as well as four new tracks. His 2004 album First Narrows (a reference to the official name of the Vancouver bridge also known as Lions' Gate Bridge) marked the incorporation of improvised performances by a number of guest musicians: Nyla Raney, cello; Tim Loewen, guitar; and Jason Zumpano, rhodes piano. Consequently, the songs were more organic and looser in nature than his previous work which he performed alone. Eight of his songs were featured on the film score of the 2004 documentary ScaredSacred by award-winning documentary filmmaker Velcrow Ripper. Stases is an album made up of background drones from his other albums. It was released for free on the website for the One record label. The theme of his fourth album, released in 2006, continues the conceptual ascent each album has taken, from the subsurface geological depths (Triple Point) and watery depths (Submers) to the surface (First Narrows) and the sky (Plume). Plume continues his musical integration of other musicians into his ambient compositions, including Josh August Lindstrom on vibes and xylophone and Krista Michelle Marshall and Stephen Michael Wood on ebow guitar (as well as Zumpano again on piano).